Coil Inserters – All of the machines shown are manufactured by Gateway Bookbinding Systems Ltd. Our team of engineers work hard to bring you the very best solutions for plastic spiral binding. The PBS Industrial Roller Inserter offers dual roller insertion within a rugged steel frame. A durable design that is built to last. 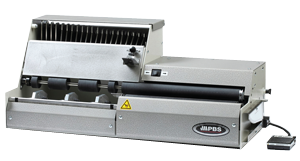 The PBS 2300 – A combination roller inserter / single-sided crimper that is both easy to operate and quick to setup with consistent crimping. 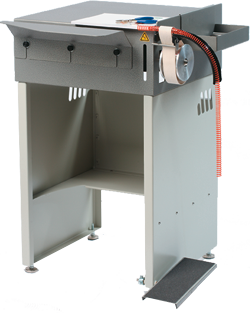 The PBS 1500 Industrial Coil Inserter is designed for years of commercial binding use and reliability. Full range capabilities with components to handle the entire range of coil diameters. Works with longer 36" / meter lengths of coil meaning fewer reloads. 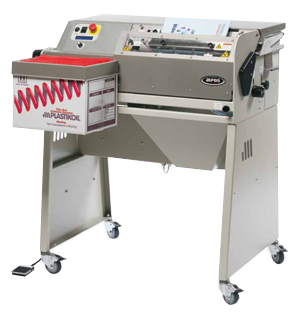 The Total Koil Binder – one machine with two modes of coil insertion that can handle the entire range of coil diameters. Simple roller insertion for thinner books with spine former placement to handle the thicker projects. The TCB – Total Cut & Bend is the only machine on the market that cuts and crimps the full range of plastic spiral diameters from 6 mm up to 50 mm – with the same crimping heads. Easy 5 step adjustment to change from size to size. A nice feature – the larger the coil / the longer the crimp. 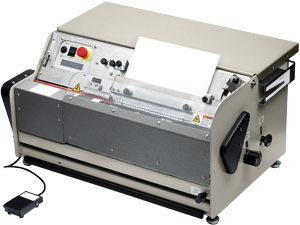 Gateway's KOILMATIC – an affordable fully electric table-top automatic coil inserter designed with the digital 8.5" x 11" print market in mind. No tools – no air required. Only available in the .2475" pitch. 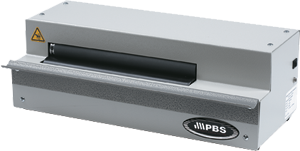 The PBS 3000QS4 automatically inserts pre-cut lengths of coil into the pre-punched book and simultaneously crimps both ends – all in a single operation! No tools are required for basic setup and changeover. Geared for higher volume production. Designed for the trade with a wider range of book sizes / thicknesses.